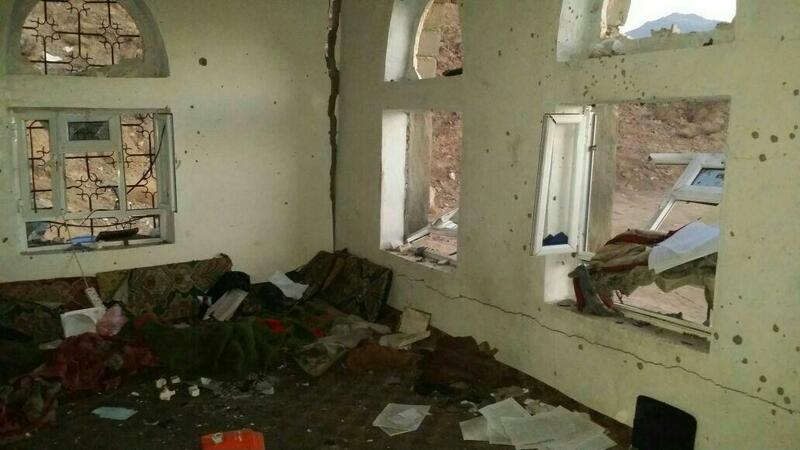 Purported image of the aftermath of the US raid in Al Baydah, Yemen. Released by Al Qaeda in the Arabian Peninsula. An American soldier was killed and three more were injured during a raid in central Yemen that killed a senior Al Qaeda in the Arabian Peninsula (AQAP) leader and 13 other fighters. 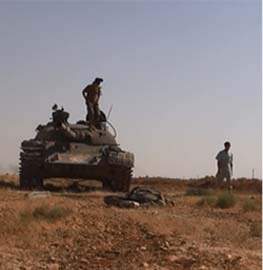 A number of civilians may have also been killed or wounded in the fighting. Details of the raid are still emerging. 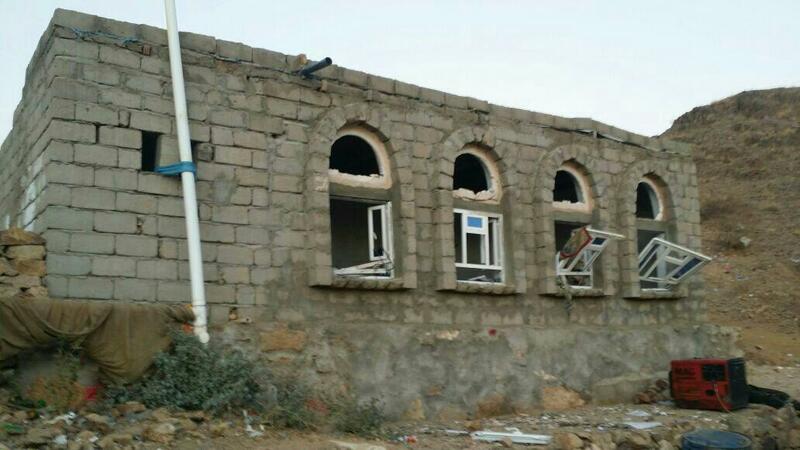 According to Reuters, US special operations forces targeted the home of senior AQAP leader Abdulrauf al Dhahab in the remote district of Yakla. The district is in the central province of Al Baydah, a focal point of US military operations over the past month. Officials told the wire service that warplanes struck Abdulrauf’s home, then US troops descended from helicopters and clashed with local fighters. American helicopters destroyed other homes as the fighting intensified and the troops withdrew. The reason for the helicopter crash was not disclosed. 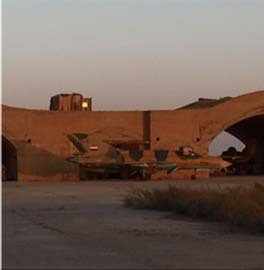 CENTCOM said that the aircraft was “intentionally destroyed in place” because it could not fly. AQAP claimed that “the mujahideen shot down an American Apache,” according to a statement obtained by the SITE Intelligence Group. AQAP has vacillated on its reports of civilian casualties. The group first claimed: “Only women and children were killed in the raid together with some tribal leaders who have no connections to Al-Qaedah.” Then AQAP confirmed that Abdulrauf was killed in the raid and described him as a “martyr” and “holy warrior,” Reuters reported. Yemeni officials claimed civilians, including 10 women and three children, were among 30 people killed. 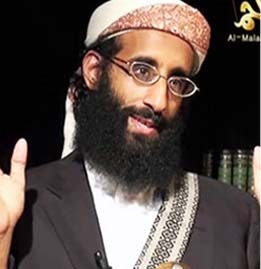 According to jihadi social media sites, the eight year-old daughter of Anwar al Awlaki, a radical cleric who was killed by the US in 2011, was among those killed. Jihadis affiliated with AQAP released a graphic photo set purportedly showing the bodies of multiple children and other civilians killed during the operation. The raid in central Yemen is the first of its kind by US forces since 2014, when US special operations soldiers attempted to free hostages held by the terror group. 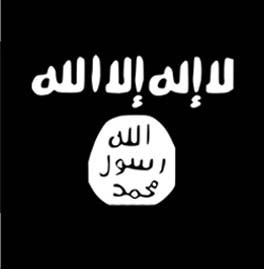 Abdulrauf’s brothers – Tariq, Kaid, and Nabil – have all held key leadership positions within AQAP. The Dhahabs were brothers-in-law of Anwar al Awlaki, the US citizen who served as a senior al Qaeda operational commander and ideologue. Tariq seized control of Rada in Jan. 2012. He released a videotape in which he swore allegiance to Ayman al Zawahiri and al Qaeda, saying “the Islamic Caliphate is coming.” His fighters flew the terror group’s banner over the town’s citadel. 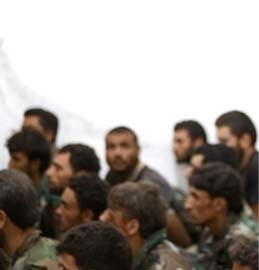 In Feb. 2012, Tariq abdicated control of Rada to local tribal leaders, including his brother Hazam, after they threatened to launch an offensive to retake the town. Later that month, Hazam killed Tariq. Tariq’s followers then retaliated and killed Hazam. After Tariq’s death, Kaid and Nabil took control of AQAP’s operations in Al Baydah province. They were targeted by a US drone strike on May 28, 2012, but survived. 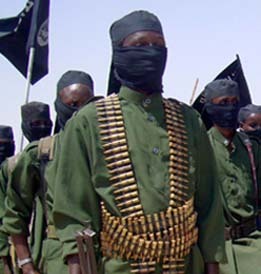 Kaid served as AQAP’s emir for Al Baydah after the death of Tariq and established a training camp for the terror group. The US killed Kaid in a drone strike in Aug. 2013 in Al Baydah. The US military has justified strikes and raids against AQAP by stating that the group remains a significant threat to America and its allies. AQAP has plotted multiple attacks against the US, including sophisticated attempts to blow up airliners. This is much better reporting than I got off the other news sites – if information gleaned from seized computers was the target then raid was justified, otherwise why not just bomb these evil bastards. Condolences to the family of our fallen warrior. God bless our military and all they stand for. Military has to use plane and drone launched bombs on these remote targets in very hostile locations rather than have SEALs and other special ops soldiers land and attack on foot. We lost a courageous SEAL, had 4 wounded (3 SEALs and crewman on Osprey) and we lost the $200 million Osprey. All to kill a replaceable al Qaeda leader in Yemen. Most frustrating is that Obama celebrated releasing scores of these leaders from Gitmo. If Trump is going to expand our wars against ISIS and al Qaeda, it has to be quick & dirty and not conventional. Stop fighting the last war! You do not gain intelligence by bombing, it’s a necessary risk to put boots on the ground. Had the US bombed, there’d be no laptop, no phones, no intelligence gathered. All that was gathered will result in saved American lives and more dead islamists. Other sources are comparing this raid to the raid on Osama Bin Laden as far as the treasure trove obtained. We lost a warrior and several were injured but it was for a reason. It’s refreshing to have a President visit the family of the fallen and acknowledge the tremendous sacrifice our war fighters make to keep our country safe from the enemies of the free world. God bless our war fighters, God bless America. Let’s give credit where credit is due . . .